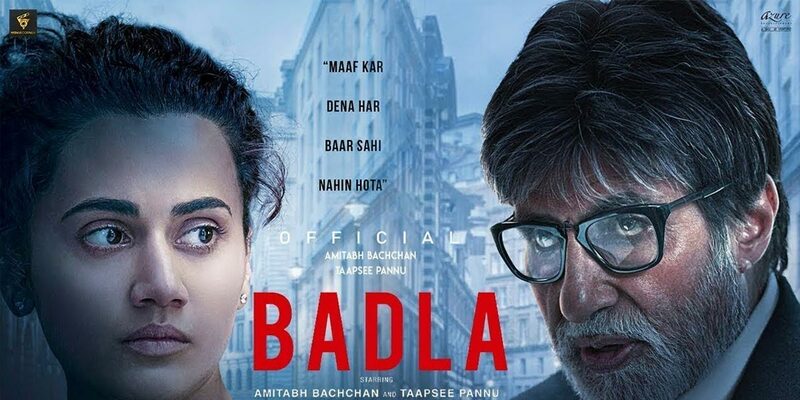 Bollywood actors Amitabh Bachchan and Taapsee Pannu are all set to reunite on the big screen with their upcoming film Badla. The first look of the upcoming film Badla has been released on Monday, February 11. The makers of Badla have just dropped the trailer. Helmed by Sujoy Ghosh and bankrolled by Azure Entertainment, Badla will mark the reunion of the two actors after 2016 film Pink. With dark undertones, Taapsee can be seen sporting a frightened and pale look while Amitabh Bachchan looks fierce with black rimmed glasses and intense eyes. Ahead of the trailer release, Shah Rukh Khan shared a tweet saying, “Main aap se Badla lene aa raha hoon @SrBachchan saab! Taiyaar rahiyega…”. Apparently, according to several reports, SRK might make a cameo in the movie. The movie is being co-produced by Shah Rukh Khan’s Red Chillies Entertainment. Looking at the posters of the film, we can expect the trailer of the film to be as intense as it gets. Shot in locations like Mumbai and Scotland, Badla is touted as the official Hindi remake of Spanish film The Invisible Guest.